In the 1950’s a scientist by the name of Denham Harman first proposed the Free Radical Theory of Aging . The basic premise of the theory was that metabolic processes produce reactive byproducts that accumulate over time, damaging cells, and ultimately leading to aging and its associated diseases. Naturally, scientists attempted to mitigate the production of these reactive oxygen species, in hopes of coming one step closer to slowing the aging process. However, over many years it became apparent that these supposedly damaging metabolic byproducts actually function as very important signaling molecules. In fact, the benefits we get from things like exercise and drinking Hormetea are dependent on them! Needless to say, fast forward a few decades and today the simplistic theory has been debunked and we know that there is a Goldilocks zone for free radicals - we require some, but too many can wreak metabolic havoc. What is hormesis and why should we care? Hormesis is the process whereby exposure to small amounts of a toxin or stressor has a physiological net benefit over time. Examples of hormetic stressors include exercise, temperature extremes, diets rich in colorful fruits and vegetables, and altitude-induced hypoxia. All of these temporarily stress the body in such a way that tells our cells to become stronger so that the body can better handle the stressor the next time around. The Nrf2 pathway is our cell’s master antioxidant defense pathway and is activated by many kinds of oxidative stress. The pathway regulates expression of specific antioxidant and detoxification proteins that are critical to cellular health . Activation of the Nrf2 pathway provides protection against many of the environmental insults we experience on a day to day basis. Some of the compounds in plants that we think of as antioxidants are actually pro-oxidants and function to enhance activation of the Nrf2 pathway. AMPK and SIRT1 (a protein in the sirtuin family) are two additional signaling molecules that when activated enhance mitochondrial function. Both of these molecules sense cellular energy homeostasis and nutrient balance, most notably in the context of calorie restriction and exercise. However, hormetic phytochemicals in plants such as polyphenols have also been shown to increase their activity . Polyphenols, flavanoids, and sulforaphane. Oh My! Polyphenols are a broad class of plant-based compounds that have a common phenol ring structure and give fruits, vegetables, spices, and herbs their vibrant colors and health-promoting properties. Plants that are deeply pigmented throughout will be highest in polyphenols (think dark berries, peppers, and beets). Polyphenols function to protect plants against pathogens and UV radiation. Flavanols (such as catechins in green tea). Sulforaphane is a compound found in cruciferous vegetables and particularly concentrated in broccoli seeds and sprouts. Sulforaphane is a potent activator of the Nrf2 pathway and has many health benefits. Hormetea was created by Tommy to be a convenient (and delicious) way to get a variety of these health-promoting compounds in one place. In one serving, you’ll find the best-researched plant polyphenols in doses that have been clinically-proven to reduce inflammation and improve metabolic health, with a touch of pepper to increase bioavailability. You can think of drinking Hormetea as a little intracellular workout. We’re sure you’re going to love it! For the remainder of the article, we’ll dive into each of the ingredients in Hormetea and review the wide range of benefits each has to offer. Then we’ll discuss the best preparation techniques and answer a few of the most frequently asked questions. Interestingly, there is some evidence of synergy between different polyphenols. For example, quercetin increases the bioavailability of EGCG  - another reason to consume these compounds together in Hormetea! That’s it for the ingredients. 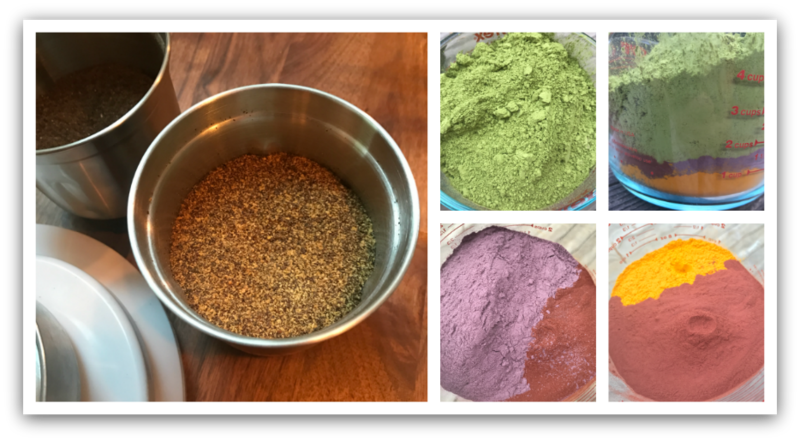 Check out the vibrant colors (compliments of the polyphenol content of these plant compounds) in the picture capturing the process of making Hormetea! While you could just boil a kettle of water to prepare Hormetea, we don’t recommend it! There’s no need to get fancy with a thermometer, but following a few simple guidelines will allow you to maximize the activity of the health-promoting compounds in the tea. We’re not trying to be neurotic with water temperatures… There is some logic behind the preparation method! 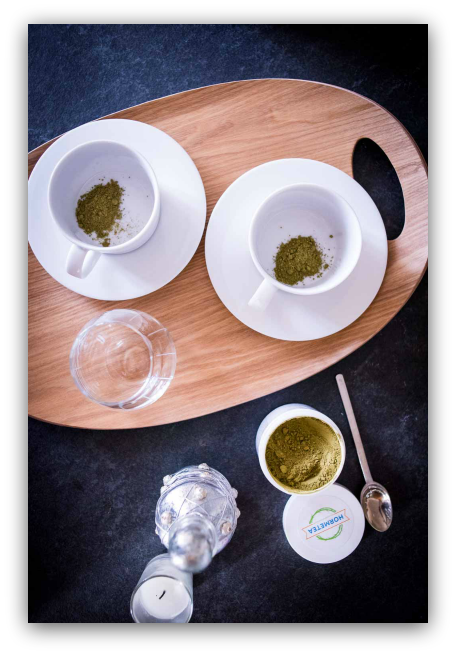 Optimal matcha tea brewing temperatures are between 80-85 degrees Celsius (176-185 degrees Fahrenheit). Myrosinase, the enzyme in broccoli seeds that creates sulforaphane, is activated between 70-80 degrees Celsius (158-176 degrees Fahrenheit) . 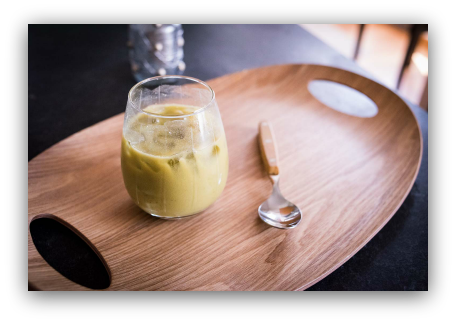 So, to protect the matcha leaves from becoming bitter and optimize sulforaphane production, we recommend using the multi-step process above with the water around 70 degrees Celsius. Now for some frequently asked questions about Hormetea. Who will benefit from Hormetea? Everyone! 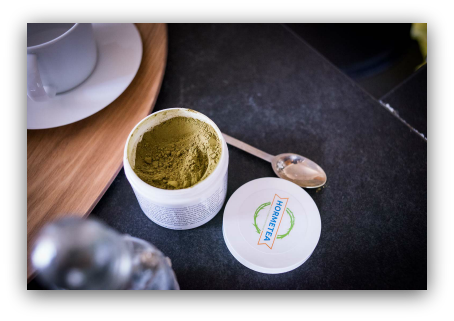 The polyphenols in Hormetea can benefit just about everybody, from individuals with metabolic derangement to hard-changing athletes to the average Joe on the street. Some of the compounds may particularly therapeutic for certain metabolic conditions, but anyone looking to optimize their health can reap the benefits of Hormetea. Is Hormetea a good pre-workout drink? Sure! A full 2 teaspoon serving of Hormetea will have about 60mg of caffeine, so while caffeine tolerant folks might not notice it, those who are caffeine naive or very sensitive likely will. Most people won’t get an ergogenic benefit per se, but many of the compounds in the tea target the same signaling pathways as exercise , so combining the two might yield a nice synergistic effect. For those savvy folks thinking, haven’t supplemental antioxidants been shown to blunt adaptations to training? , there probably isn’t any need to worry. Most of the literature suggesting a negative effect of antioxidants on exercise adaptations used supraphysiologic doses of vitamin C, vitamin E, ALA, and/or NAC - all of which scavenge reactive oxygen species, which is the likely mechanism behind blunting exercise adaptations. Polyphenols on the other hand, act as intracellular stressors and upregulate endogenous production of antioxidants. For this reason, any negative interaction between training and the polyphenols in Hormetea is very unlikely. How can I maximize absorption of the polyphenols? Adding a bit of fat will maximize the absorption of the polyphenols in Hormetea. We recommend 1-3 teaspoons of coconut milk,coconut oil, PHAT FIBRE, MCT oil, heavy cream, etc. The weather is getting warmer… how do I prepare a cold version of Hormetea? 1 or 2 dates, or 1" of frozen banana for desired sweetness level. Place all ingredients into a high-powered blender. Blend on high for a few minutes to desired consistency. We encourage people to expose themselves to a variety of hormetic stressors and recognize that capturing all the benefits of exercise in a pill (or tea) is impossible. So keep taking those cold showers, using the sauna, challenging yourself with metabolically-demanding exercise, and getting a bit of color in the summer months. Additionally, you can now drink Hormetea to reap the benefits of not too few, not too many, but a healthy amount of those reactive oxygen species that help create a more resilient human. You can buy Hormetea here. We’d love to hear what you think of it, so please leave your thoughts in the comments section below!